Below, you’ll find our curated list of essential blog posts. From selling everything, to three years of traveling by bike, to our work in the growing field of bicycle tourism, these are the posts which we feel best represent our journey since launching this site in March 2009. The first step is getting rid of all of the stuff. The moments that add up to make you ready to go. It's the memories tangled up in the things that makes us keep the things. That moment when our home is reduced to just four walls and empty space. It's always the people you remember. And it's the people you miss most when you leave. To read our daily reports from the road, follow the tag Riding Days. What it means to trade in a prime earning year for a prime living year. One of many experiences of connecting with strangers in ways we never expected. A short video that captures some of the magic of traveling. A lapse in judgement, a burned hand, questions about what we're doing. Even a dream life isn't rosy all the time. The Texas winds get into Laura's head during a grueling ride and she crumples under the weight. And sometimes you think you're about to die by missile fire. Eating well while traveling by bike is difficult, to say the least, and it always gives us pause. The road is hard on your few belongings. Our urge for things does not go away simply because we have sold all our furniture and carry our whole lives on a bicycle. Pausing to remember before re-entering "normal" life again. We think the best way for anyone to go bike touring is on a bike, the rest is just personal details. It's not easy to broach the topic of bike touring to an unwilling partner. We know, we've been there. But it's worth it! How do you travel together and not kill each other? Road rage is a cyclist's worst nightmare, and something we never thought we'd actually experience. This Phenomenon We Call "Bicycle Tourism"
We begin to see how bicycle tourism can make an indelible impact on small towns, and bring places back from the brink. Tips that we still stand by. A short video featuring interviews from key people involved in the NZ Cycle Trail. The final Kiwi Chronicles episode, in which a lot of theories start to be real. 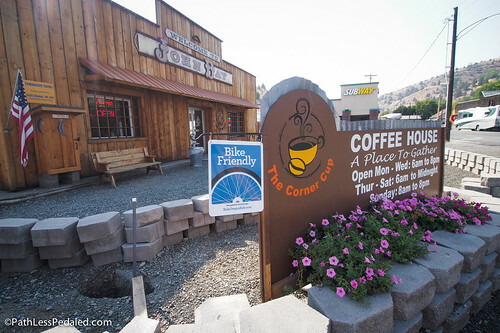 Bill White saw the possibilities of bike tourism and built Bike Camp in Twin Bridges, MT. Bicycle Tourism is a large tent, and we start to break it down. A few simple ideas to help you tip-toe into bike tourism. Bringing the case for bicycle tourism to the bike advocacy world. If You Sign It, Will They Come? We return to the Old West Scenic Bikeway a year after filming. A few takeaways from the tourism world that can be applied to bike tourism. How does bike tourism *really* work with rural communities? 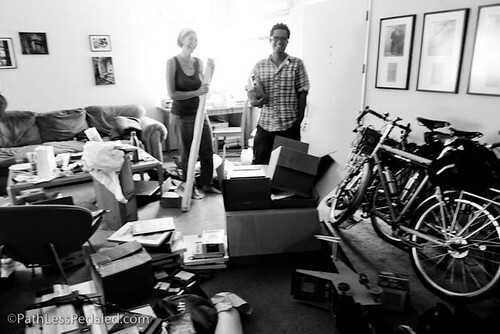 Short video from our interview with Treo Bike Tours owner Phil Carlson. In which we're convinced of the value of bikeshare, but from a tourism point-of-view. Short video from our interview with one of the owners of Flat Tire Lounge in Madrid, Iowa. The importance of communication and branding, brought to life in a real-world example.